EMSS Export & Import module (Performance update): It will enhance the performance of the software quite significantly. Existing clients may approach our support team to update the same. 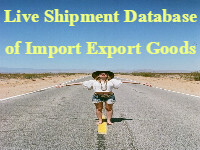 Type the name of CHA / Shipping company / City in above given text box and click on Search button. Right hand side portion displays the Paid advertisements on EXIMON. In order to communicate with them directly, you need to LogIn. If you are still not registered on EXIMON, Click here to Register.